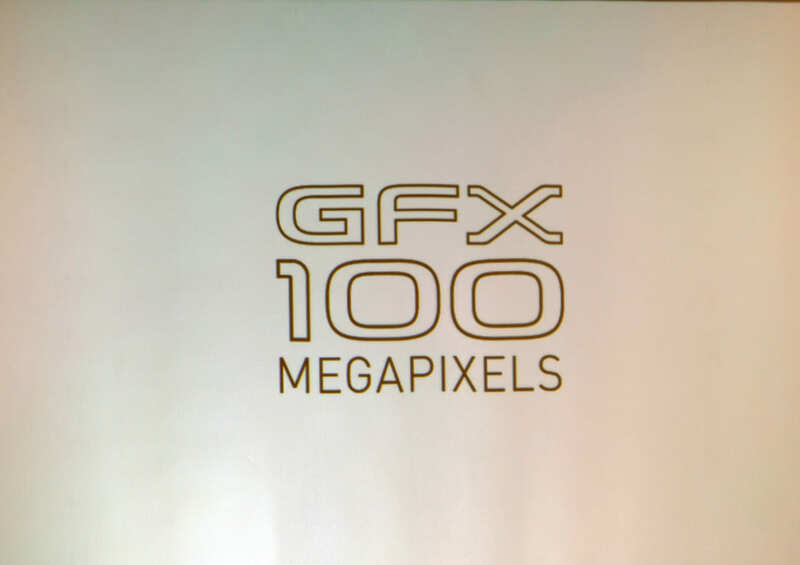 Nothing really new at CP+ from Fujifilm so far, but they seem to be sticking with the Fujifilm GFX 100 Megapixels name. Capa Camera Web covered Fujifilm at CP+ today and they reported on the GFX 100 Megapixels coming the first half of this year for around $10,000 and the tentative name. He also brings up some upcoming lenses that we knew of from Photokina. This entry was posted in Fujifilm GFX, Fujifilm GFX 100 Megapixel, Fujifilm GFX 100S, Fujifilm GFX 50R, Fujifilm GFX 50S and tagged CP+, CP+ 2019, CP+ Show, Fuji GFX, Fuji GFX 100, Fuji GFX 100M, Fuji GFX 100MP, Fuji GFX 100R, Fuji GFX 100S, Fuji GFX 50R, Fuji GFX 50S, Fuji GFX100, Fuji GFX100M, Fuji GFX100MP, Fuji GFX100R, Fuji GFX100S, Fuji GFX50R, Fuji GFX50S, Fuji Rumors, Fujifilm, Fujifilm GF 50mm f/3.5 LM WR, Fujifilm GF50mm f/3.5 LM WR, Fujifilm GFX, Fujifilm GFX 100, Fujifilm GFX 100 MEGAPIXELS, Fujifilm GFX 100 MP, Fujifilm GFX 100M, Fujifilm GFX 100MP, Fujifilm GFX 100R, Fujifilm GFX 100S, Fujifilm GFX 50R, Fujifilm GFX 50S, Fujifilm GFX100, Fujifilm GFX100M, Fujifilm GFX100MP, Fujifilm GFX100R, Fujifilm GFX100S, Fujifilm GFX50R, Fujifilm GFX50S, Fujifilm Rumors, FujifilmRumors, Fujinon GF 50mm f/3.5 LM WR, Fujinon GF50mm, Fujinon GF50mm f/3.5 LM WR, Fujinon XF 16-80mm, Fujinon XF 16-80mm f/4, Fujinon XF 16-80mm f/4 R LM OIS WR, Fujinon XF 16-80mm f/4 R OIS WR, Fujinon XF 16-80mm F4 R LM WR, Fujinon XF16-80mm, Fujinon XF16-80mm f/4, Fujinon XF16-80mm f/4 R LM OIS WR, Fujinon XF16-80mm f/4 R OIS WR, Fujinon XF16-80mm F4 R LM WR, Fujirumors, GF 50mm f/3.5 LM WR, GF 50mm f/3.5 LM WR GFX, GF50mm f/3.5 LM WR, GFX, GFX 100, GFX 100 Megapixel, GFX 100 MP, GFX 100M, GFX 100MP, GFX 100R, GFX 100S, GFX 50R, GFX 50S, GFX100, GFX100M, GFX100MP, GFX100R, GFX100S, GFX50R, GFX50S, Medium Format, MEGAPIXELS, Super Full Frame. Bookmark the permalink. Trackbacks are closed, but you can post a comment.